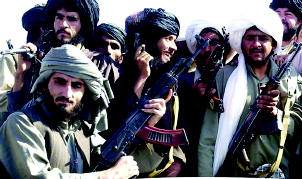 Islamabad: The Afghan Taliban has said that despite the ongoing talks with the US and other regional powers, it had “not yet reached” any conclusion that would entail an immediate end to hostilities against America and its allies, according to a media report. The Taliban control nearly half of Afghanistan, and are more powerful than at any time since the 2001 US-led invasion after the 9/11 terror attacks in 2001. In a series of tweets after six days of talks with the Taliban representatives in Doha last month, Special US Representative for Afghanistan Reconciliation Zalmay Khalilzad said the US has made “significant progress” in its peace talks with the Taliban. Since being appointed in September, Khalilzad has met with all sides in an attempt to end America’s longest war in which the US has lost over 2,400 soldiers in more than 17 years. But Mujahid said that, even in Moscow talks, nothing concrete was achieved that would compel them to end the war and military pressure, the channel reported. He insisted that the Taliban are holding talks with the United States “on their own initiative”. Responding to a question regarding the timing of the talks, the militant commander explained that, even prior to the US invasion, the Taliban had asked Washington to engage in dialogue instead of war, the channel said. He acknowledged that Pakistan had remained “the most important hub” for Afghan refugees during the Soviet invasion. Mujahid said that while the Taliban do not have a codified manifesto, their “clear” objectives were the end of the occupation of Afghanistan, establishment of an Islamic government, establishment of peace and security, reconstruction of Afghanistan and the provision of administrative services. If the Taliban were to hold talks with the Kabul government, it would mean that they had “accepted this stooge regime as a legitimate government (even though it was) imposed upon us by aircraft and (the) bombing of invaders”, he said. He said that talks between two opposing powers are meant to achieve a mutual resolution to outstanding issues and the re-establishment of peace and stability.